Students who are interested in working for the Chapel in 2019-2020 are invited to apply for jobs through Handshake. Deadline to apply is midnight March 17. Students should also be sure to complete the Chapel’s separate student employment form. SACRISTAN: Worship is the center of the life of the Chapel of the Resurrection. Attention to space, liturgical rhythm, movement, appointments, and leadership and support are ingredients which help to make worship meaningful. To this end, the Sacristan is the primary overseer of the Eucharistic Student Chapel Staff. Responsible to the University Pastor, the Sacristan must demonstrate an appreciation of the living Western Liturgical tradition, have management skills, have the ability to delegate work, and should have completed one year as Assistant Sacristan. The Sacristan’s areas of responsiblity include Liturgical space, appointments, vestments, and paraments; worship leadership binders; oversight of Eucharistic Student Chapel Staff. Familiarity with Chapel facility, its services and programs important. He or she should have completed a minimum of two semesters at Valpo. Hourly; 6 to 8 hours per week. Hours vary. ASSISTANT SACRISTAN: Worship is the center of the life of the Chapel of the Resurrection. Attention to space, liturgical rhythm, movement, appointments, and leadership and support are ingredients which help to make worship meaningful. To this end, the Assistant Sacristan works under the direction of the Head Sacristan to attend to the physical needs of the worship environment — liturgical space, appointments, vestments and paraments for all Sunday Morning celebrations of the Eucharist, and special worship events within the Chapel of the Resurrection. Responsible to the Co-Head Sacristan and University Pastor, the Assistant Sacristan must demonstrate an appreciation of the living Western Liturgical tradition. The Assistant Sacristan will preferably be an underclass student who serves for one year, and then is eligible to apply for the position of Co-Head Sacristan. Hourly; works 4-6 hours per week and hours vary. CO-HEAD OF ALTAR CARE: Worship is the center of the life of the Chapel of the Resurrection. Attention to Eucharistic appointments is essential to making worship meaningful. To this end, the Head of Altar Care is a fundamental member of the Eucharistic Chapel Staff. The Head of Altar Care has primary responsibility for the Eucharistic appointments — vessels and elements — for the regular Sunday celebrations of the Eucharist. Additionally, the Head of Altar Care recruits, trains, schedules and oversees a team of volunteers to serve as the Altar Guild. The Head of Altar Care arranges for altar care during Sundays amid the academic year when classes are not in session. Responsible to the Head Sacristan and University Pastor, the Head of Altar Care must demonstrate an appreciation of the living Western Liturgical tradition. Hourly; works 8 to 10 hours per week. CO-HEAD ACOLYTE: Worship is the center of the life of the Chapel of the Resurrection. Attention to liturgical movement and space are ingredients which help to make worship meaningful. To this end, the Co-Head Acolyte has primary responsibility for oversight, training, and function of the full acolyte team. Responsible to the Head Sacristan and University Pastor, the co-head acolyte has knowledge of, appreciation for and experience with the living Western Liturgical tradition, management skills, attention to detail, knowledge of all worship leadership roles, and ability to delegate. Duties as assigned for Advent Christmas Vespers, Holy Week, Senior Eucharist and Baccalaureate services. Hourly; works 3 to 5 hours a week. CO-HEAD USHER: Worship is the center of the life of the Chapel of the Resurrection. From this center, we extend God’s welcome and care to all people. Ushers play an important role in creating and sustaining a spirit of hospitality. The co-head ushers are responsible for scheduling, training and overseeing volunteer ushers for Sunday morning worship, plus duties as assigned for Advent Christmas Vespers, Holy Week, Senior Sunday and Baccalaureate services. In collaboration with the Head Sacristan and Altar Care, they arrange for coverage for worship occasions (including Christmas Eve) when classes are not in session. Should have knowledge, appreciation of and experiencing with the living Western Liturgical tradition, appreciation for the needs and concerns of the visitor, a friendly/outgoing posture with good communication skills, management skills and the ability to delegate. Qualifications include having a minimum of two completed semesters at Valpo before start date, familiarity with the Chapel facility, its services and its programs, familiarity with Sunday worship and community. Hourly: works 3 to 5 hours per week; hours vary. CANDLELIGHT WORSHIP COORDINATOR(S): Worship is the center of the life of the Chapel of the Resurrection. Candlelight is a unique and fundamental expression of worship within the Chapel of the Resurrection. To this end, the Candlelight Worship Coordinator is the primary student leader with responsibility for experiential aspects of Candlelight worship for all participants on the Candlelight worship team. Collaborates with the Candlelight Music Coordinator(s), and the University Pastor. Hourly; 3 to 4 hours per week. CANDLELIGHT MUSIC COORDINATOR: Worship is the center of the life of the Chapel of the Resurrection. Candlelight is a unique and fundamental expression of worship within the Chapel of the Resurrection. To this end, the Candlelight Worship Coordinator is the primary student leader with responsibility for aspects of Candlelight music, accompanying Candlelight worship, training cantors as needed and collaborating with instrumentalists. Responsible to University Pastor and Director of Chapel Music. Salaried; 4 hours per week. CELEBRATE! ART & MEDIA TECHNICIAN: The Celebrate! Art & Media Technician is key to creating the environment for worship at the Wednesday night Celebrate! service. The Art & Media Technician works with the Celebrate! Art and Media Coordinator and others on the planning team to provide projections used at the service. Sets up, manages and takes down art and media presentations at each service. Responsible to the University Pastor, this person should demonstrate creativity and fresh thinking related to worship, be proficient with Powerpoint, YouTube and other software as well as projectors; have an interest in the interplay between contemporary worship forms and historic liturgies art, design and technology. Minimum of two completed semesters at Valpo before start date. Hourly position; 3 to 4 hours per week. CELEBRATE! 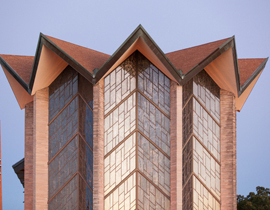 ART & MEDIA COORDINATOR: Worship is the center of the life of the Chapel of the Resurrection. The Celebrate! Art and Media Coordinator is the key leader in creating the environment for worship at the Wednesday night Celebrate! service. Works with the Pastor, and the planning team to plan services; manages social media for Celebrate; recruits and manages Art and Media Technician. This person should demonstrate creativity and fresh thinking related to worship, be proficient with Powerpoint, YouTube and other software as well as projectors; have an interest in the interplay between contemporary worship forms and historic liturgies art, design and technology. Minimum of two completed semesters at Valpo before start date. Hourly position; 5 to 7 hours per week. CELEBRATE EVENING WORSHIP PRODUCER: Worship is the center of the life of the Chapel of the Resurrection. The Celebrate! Evening Worship Producer works with a team of students and the University Pastor to present the Wednesday night Celebrate! service. Chairs weekly planning meetings, maintains communication with those responsible for room setup and altar care; recruits and trains others. The successful candidate will have creativity and fresh thinking related to worship, management skills, attention to detail, and be timely and dependable; must have minimum of two completed semesters at Valpo before start date, be familiar with the Chapel facility, its services and programs, especially the Celebrate! service and community. Hourly; 4 to 6 hours per week. SOUND TECHNICIAN MANAGER: Public worship and other events are hallmarks of the Chapel of the Resurrection. A competent and well organized sound technician team is critical to providing a quality experience for those who visit the Chapel for any gathering. This person manages day-to-day room setup and takedown activities related to the sound needs of worship and Chapel special events. The Sound Technician Manager assists with Sound Technician recruitment, training, and job assignment scheduling and will edit weekly Chapel service recordings and special University event recordings. Typically, the Head Sound Technician will be scheduled into the regular sound technician rotation. Must be attentive to detail and able to work independently with little or no supervision, have timely attendance with the ability to vary schedule, present a professional, helpful, and amiable attitude, and communicate effectively, and have familiarity with sound equipment and the management and recording of live sound. Additional requirements: A minimum of four completed semesters at Valparaiso University before start date, minimum of one semester working experience as Chapel Sound Technician, familiarity with Chapel facility, its services and programs; working experience as Chapel student staff and/or volunteer will be a plus. Hourly; 5 to 7 hours per week; shifts may vary. SOUND TECHNICIANS: Public worship and other events are hallmarks of the Chapel of the Resurrection. Competent and well organized sound technicians are critical to providing a quality experience for those who visit the Chapel for any gathering. Each Sound Technician plays a vital role in support of worship services and special events at the Chapel by operating the sound system as assigned and assisting with the editing of recording for worship services and miscellaneous other services. 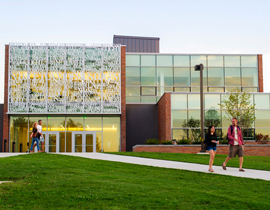 Must have a minimum of two completed semesters at Valparaiso University prior to start date. Responsible to Head Sound Technician, the Sound Technician must have timely attendance, prior experience with technology, willingness to learn, and the ability to apply knowledge and experience to new and challenging situations. Hourly; averaging 3 to 5 hours/week. Hours and shifts may vary. SUMMER SACRISTAN: The Summer Sacristan has primary responsibility for liturgical space, appointments, vestments and paraments for all Sunday Morning celebrations of the Eucharist, and special worship events within the Chapel of the Resurrection during the summer months, when classes are not in session. The Summer Sacristan is also responsible for altar care for all Eucharist Celebrations. For Summer 2019, the Summer Sacristan will update a complete inventory of all liturgical items and furnishings of the Chapel. Additionally, the Summer Sacristan will serve as Summer Special Event Assistant. 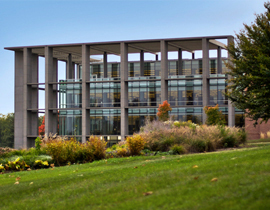 Responsible to the University Pastor, the Summer Sacristan should have a minimum of four completed semesters at Valpo before start date; have training as a Chapel sound technician; be familiar with the Chapel facility, services and programs; have working experience with Chapel worship services and be able to lift a minimum of 20 pounds. Hourly; Hours and shifts may vary. SUMMER ASSISTANT: Hospitality is a primary value of the Chapel of the Resurrection. To this end, the Summer Assistant will be on the forefront of the Chapel’s hospitality ministry for FOCUS and other summer events. The Summer Assistant will manage activities fairs at all FOCUS sessions and should be an effective communicator, who is timely, dependable, shows attention to detail. The qualified candidate will have a minimum of two completed semesters at Valpo before start date, training as a Chapel Sound Technician, be familiar with the Chapel facility and its services and programs, and be able to lift a minimum of 20 pounds. Hourly; Hours and shifts may vary. WEDDING COORDINATOR ASSISTANTS: Each Wedding Coordinator Assistant has primary responsibility for assisting the Chapel Wedding Coordinator during chapel wedding rehearsals and services. The Wedding Coordinator Assistant operates the sound board, does room setup and teardown, and provides a climate of hospitality. The Wedding Coordinator Assistant must be professional, attentive to detail, have timely attendance with the ability to vary schedule, be able to relate to others and communicate effectively and apply knowledge and experience to new and challenging situations. The assistant should be familiar with the Chapel facility and sound system and have the previous experience as an assigned Chapel sound technician for at least three major University events. Requires intermediate knowledge of the Chapel sound system. Hourly pay; averaging 5 to 6 hours/wedding. Hours and shifts may vary. HOSPITALITY ATTENDANT & PUBLICATIONS ASSISTANTS: The Hospitality Attendant is the “first face” of the Chapel and plays a critical role in creating and sustaining a spirit of hospitality. Because worship materials are a key component of worship at the Chapel of the Resurrection, this person also provides assistance in the publishing of worship service materials and related campus ministry publications. Each hospitality attendant greets and offers assistance to all visitors to the building, provides guided tours for groups (scheduled in advance), and assists Chapel staff with a variety of office work. Must have excellent communication skills, ability to operate (or be trained in operating) office equipment to assist in the production of worship materials, ability to work independently with little or no supervision, and have timely attendance. The attendant should have intermediate knowledge of the Chapel historic structure and familiarity with Chapel services and programming and a minimum of two completed semesters at Valparaiso University before start date; must be able to lift a minimum of 20 pounds. Professional/business casual appearance is required while on duty. Hourly; 4 to 6 hours per week with daytime shifts Sunday-Friday. 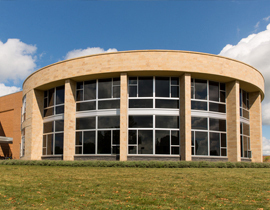 BUILDING MANAGER: The Chapel hosts many events each week including eight or more worship services. Building Associates work as a scheduled team to move the furniture and other necessary equipment to make these events possible. The Building Manager assists with Building Associates recruitment, training, and job assignment scheduling and assists with all room set-up and take-down related to worship and Chapel special events, and provides building and room daily inspection. The Building Manager must be attentive to detail and able to work independently with little or no supervision, have timely attendance with the ability to vary schedule, present a professional, helpful, and amiable attitude, and communicate effectively. Must be cross trained as a Chapel Sound Technician. Additional requirements: familiarity with Chapel facility, its services and programs; working experience as Chapel student staff and/or volunteer will be a plus. Hourly position; 4 to 5 hours per week, Monday – Sunday, shifts may vary. BUILDING ASSOCIATES: Building Associates assist with room set-up and take-down related to worship and Chapel special events. Responsible to the Building Manager, the Building Associate must be attentive to detail and able to work independently with little or no supervision, have timely attendance with the ability to vary schedule, present a professional, helpful, and amiable attitude, and communicate effectively. Must be able to lift a minimum of 50 lbs weight. Students who live on campus or within one mile will be preferred. Hourly position, 2 to 4 hours per week, Monday – Sunday, shifts may vary. PHOTOGRAPHER: The Chapel Photographer works with chapel staff to photograph various aspects of chapel programming, as directed by the Publications Coordinator. The photographer is responsible for creating images that will be used to showcase the Chapel to different audiences, including prospective students, current students and the community. Must have the ability to photograph worship services and other events in a professional and non-intrusive manner and ability to handle short turnarounds and tight deadlines, and exhibit strong skills in use of professional photography equipment. (Owning one’s own professional photography equipment is a plus.) The successful candidate will have completed a minimum of one semester at Valpo prior to start date and be familiar with the Chapel services and programming. Availability for Sunday mornings and Holy Week service photo assignments is important. Hourly; Hours vary throughout semester. BUSINESS & FINANCE ADMINISTRATION ASSISTANT: Chapel of the Resurrection seeks a motivated undergraduate or graduate student to participate in the organization’s day–to-day operations that include general business administration, accounting, and human resource administration, with some involvement in short and long-range strategic planning. This on-campus student employment is an opportunity to learn more about business management and operations of a non-profit organization. This position is best suited for someone who has a strong interest in non-profit organization and/or business and finance administration and management. Current Valparaiso University undergraduate or graduate student with major in Accounting, Business Administration, Economics, International Studies, International Economics and Finance students are encouraged to apply. Hourly; 6 to 8 hours per week. PRAISE BAND LEADER: Worship is the center of the life of the Chapel of the Resurrection. The Praise band leader is a key student leader in creating the environment for worship at the Wednesday night Celebrate! service, Friday Morning Prayer and other events where a praise band serves. The qualified candidate will have a minimum of two completed semesters at Valpo before start date, be familiar with the Chapel, its services and programs; and have management skills; advanced understanding of music and music theory a plus. Salaried; 5 to 7 hours per week. MORNING PRAYER WRITER & WORSHIP COORDINATOR: Morning Prayer Writer & Worship Coordinator’s work is fundamental to the smooth planning and leading of Morning Prayer. This position works with chapel staff and other students in developing skills in worship planning and leadership. This position works with chapel staff and other students in developing skills in worship planning and leadership. In addition, the Morning Prayer Worship Coordinator will write the intercessory prayers for the Chapel’s Sunday morning Service of Holy Communion. The reflexive relationship between the prayer of Sunday morning and the weekdays is important to a cohesive voice of prayer at the Chapel.The qualified candidate will have a minimum of two completed semesters at Valpo before start date, be familiar with the Chapel, its services and programs (especially Morning Prayer and Sunday Service of Holy Communion); and will report to the University Pastor and Director of Chapel Music. Stipend position; 4 to 4.5 hours per week. MORNING PRAYER MUSIC COORDINATOR: The Morning Prayer Music Coordinator is fundamental to the smooth planning and leading of music in Morning Prayer. The coordinator works with chapel staff and other students in planning and leading music for worship. The music coordinator is a member of the Morning Prayer planning team, and assigns keyboardist, cantors, and instrumentalists for services. The music coordinator assists with recruiting and training for Morning Prayer planning and coordinates all musicians serving at Morning Prayer. Reports to the Director of Chapel Music. Minimum of two completed semesters before start date; advanced understanding of music and music theory a plus. Stipend position: 4 to 5 hours per week. KANTOREI LIBRARIAN: This person assists the chapel staff by providing leadership in organizing music for the chapel choir, providing support for the smooth rehearsals of the Kantorei. Reporting to the Director of Chapel Music, the librarian is responsible for the music library of the Kantorei Choir. This includes taking and returning music from the music library, organizing choral anthems and choir folders, copying music as needed for the choir. Minimum of two semesters completed at Valpo before start date; should be familiar with the Chapel, its services and programs. Hourly; 2.5 to 3 hours per week. MORNING PRAYER MATINS ORGANIST: The Matins Organist assists worship in the Chapel by providing weekly music leadership at Wednesday Morning Prayer, playing weekly for Wednesday Morning Matins service in the chapel. The organist works with the Morning Prayer planners for hymn choices, and works with the Matins Choir, playing accompaniments as needed. Reports to the Director of Chapel Music. Must have completed four semesters at Valpo before start date, be familiar with the Chapel, its services and programs (especially Morning Prayer); advanced understanding of music and music theory a plus. Stipend position; 4 hours per week. MATINS CHOIR ACCOMPANIST: This person provides leadership to the Morning Prayer worship assembly by accompanying the choir weekly. The Matins Choir Accompanist supports the work of Wednesday Morning Prayer by providing leadership for choir and congregational singing. Must have completed two semesters at Valpo before start date, be familiar with the Chapel, its services and programs (especially Morning Prayer); advanced understanding of music and music theory a plus. Stipend position; 1-2 hours per week. warm-up, and they direct the choir at Wednesday morning Matins. The qualified candidate will have completed a minimum of four semesters at Valpo before start date, be familiar with the Chapel, its services and programs; advanced understanding of music and music theory a plus. Stipend position; approx. 4 hours per week. HANDBELL CHOIR DIRECTOR(S): The Handbell Choir Director(s) support the worship of the Chapel of the Resurrection through leadership at select services throughout the academic year. The Handbell Choir Directors(s) plan and select all handbell music for the choir(s). They recruit and publicize the choir and its rehearsals. They prepare rehearsals, set up choir copies, and keep all equipment in good order. They check equipment for repairs and service. Working with the presidents and faculty advisor, they prepare for campus services (such as Advent/Christmas Vespers, Palm/Passion Sunday) and off-campus events. They prepare Sunday afternoon rehearsals and lead those rehearsals. Reports to the Director of Chapel Music. The qualified candidate will have completed a minimum of four semesters at Valpo before start date, be familiar with the Chapel, its services and programs; advanced understanding of music and music theory a plus. Stipend position; 6-8 hours per week.